The MTSA-450 is a cost effective fuel cell test station which puts together a gas management unit, a humidification system and an electronic load that provides a complete control features for conducting reliable fuel cell testing. All gas channels have stainless steel construction. 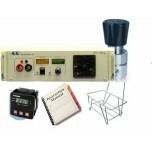 The gas management unit consists of 2 gas flow meters, 2 back pressure regulators and 2 pressure gauges. The humidification system includes two 1,5 liter stainless steel water vessels and provides 100% humidification with gas flow rates up to 3 SLPM. The temperature of the fuel cell and two gas humidifiers is controlled by three temperature controllers. A Solid State Electronic load is capable of providing up to 400 W (20 V and 20 A max. or 3 V and 100 A) and can be selected to operate at both constant current and constant voltage modes. 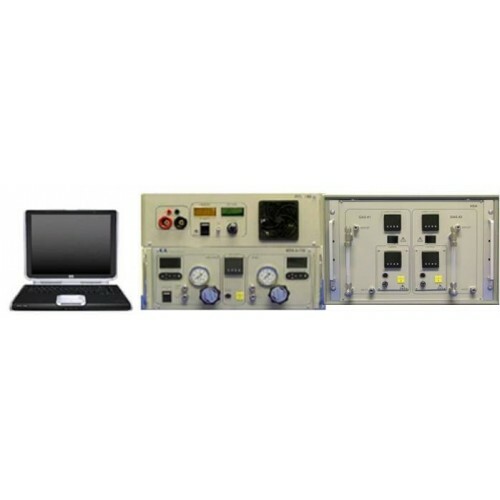 In addition it comes with a laptop and LabView software compatibility. The LabVIEW™ software comes pre-integrated in to the software to facilitate fuel cell testing. Researchers have the freedom to customize the software to their individual needs.